Dr Fangwei Shao graduated from Fudan University with BS and MS in Chemistry. She then moved to USA to pursue her Ph.D. at California Institute of Technology under the supervision of Professor Jacqueline K. Barton from 2002 to 2007. She further obtained postdoctoral research training at Harvard Medical School/Massachusetts General Hospital from 2007-2010 at Professor (M.D.) Ralph Weissleder’s group. She has begun her independent academic career at Division of Chemistry and Biological Chemistry at Nanyang Technological University (Singapore) as Nanyang Assistant Professor since 2010. In early 2019, She joined ZJU-UIUC as an associate professor. She is member of ACS, RSC, SNIC, and many professional societies. Her research group hold expertise in nucleic acid chemistry and DNA nanotechnology. The applications are across the interface of bioinorganic chemistry, bioconjugate chemistry, chemical biology, biomedical chemistry, material chemistry and catalysis. She has published on many prestigious journals, including JACS, PNAS, Angew Chemie, Nucleic Acid Res, etc and was invited to give talks and seminars on many international conference and universities overseas. She was invited as regular reviewers for many journals from ACS, RSC, Wiley, Nature and Elsevier. 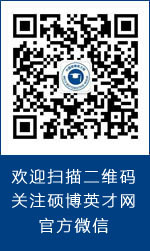 Please refer to the research group home page for details: http://person.zju.edu.cn/fwshao/. 1). The candidate shall have experience in the metal complex synthesis and characterization and is capable to design and to prepare metal complexes based upon the structure of G-quadruplex DNA. 2). The candidate shall have experience in the study of the nucleic acid or protein binding ligands and their interactions/reactions and have interests in exploring the applications of the metal complexes as molecular probes, theranostic agents and catalysts. 1). The candidate shall have experience in a) the synthesis and characterization of nanoparticles and/or oligonucleotides/PNA, and b) molecular biology techniques, including cell culture, bioimaging, RT-PCR, flow cytometry, etc. 2). The candidate shall have interests in exploring the fabrication of DNA hydrogels and the applications to variety of biomedical technology. 1). The applicants shall be under 35 years old (40 years old for foreign applicants) and obtain PhD degree in the past three years, of good moral character, and in good health. 2). Ph.D. degree from domestic C9 universities, or from “A plus” disciplines of the fourth round of national discipline assessment by China Academic Degrees & Graduate Education Development Center, or from top overseas universities are highly appreciated. 3). Applicants shall have good academic performance and research capability, and be diligent, active, and responsible, and have a good spirit of teamwork. Please send a resume (including basic personal information, study and work experiences, participation in research projects, publication list, etc), 5 representative papers and other materials by email. Shortlisted candidates will be interviewed by PI and/or institute and be reported to Zhejiang University for approval. Upon successful application, the selected candidates shall finish the registration procedures and will be subject to the management of Zhejiang University. The selected candidates will carry out research work under the guidance of supervisors of Dr Shao Fangwei at ZJU-UIUC campus in Haining, Zhejiang, China. The candidates shall fulfill the corresponding assessments according to the post-doctoral management regulations of Zhejiang University, complete the research work, and reach the post-doctoral requirements of the corresponding disciplines. The successful candidates will be funded for two to three years. The full salary will be ￥200,000/year from Zhejiang University and/or PI’s research grants. Stimulus bonus will be awarded based upon performance and the publications. Successful candidates will also enjoy the benefits of the common postdoctoral program at Zhejiang University.